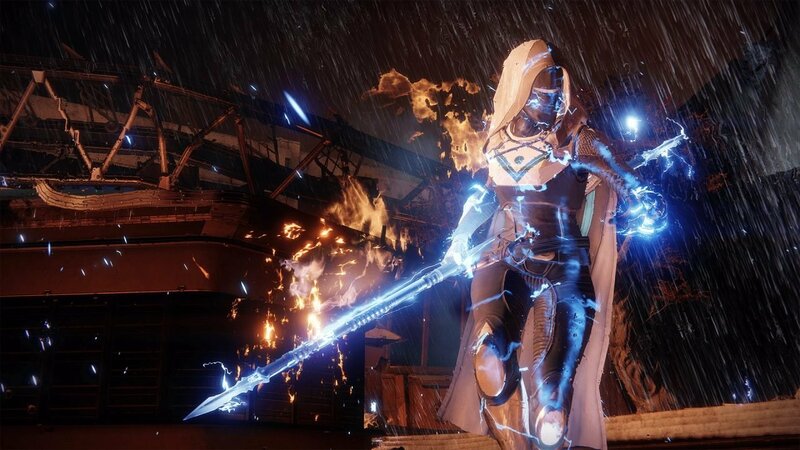 Another week, another modifier that changes things up in Destiny 2’s heroic strike playlist — for this week’s reset, the modifier of choice comes in the form of Arc Singe, meaning all arc based weapons will be extra potent, as well as the Arcstrider, Striker and Stormcaller subclasses. As Arc is the favoured elemental this week, Guardians are advised to stick with the exotic submachine gun, Riskrunner, which most players should have by now, as it has been in available in the pool of items since the launch of Destiny 2. For those who need a reminder of the weapons perks, Riskrunner grants any who wield it the power of superconductivity with the perk Superconductor, which chains arc lightning around mobs of enemies, making it a deadly choice in small corridors or confined spaces. The weapon also absorbs incoming arc fire and powers up the rifle through the Arc Conductor perk, making it viable for encounters with the Fallen and the Vex. In terms of armour, Guardians should focus on anything that favours an increase in grenade cooldown, especially for Guardians that play as Titans, as the Striker subclass grenade is especially powerful with this week’s modifier. Some stand out exotic recommendations include: Raiden flux, Insurmountable Skullfort, Crown of Tempest and Peacekeepers. Those wanting something for taking down single targets, or ultra level enemies, the laser-rifle Coldheart (which came with early copies of the game) is great as it features arc based fire and can really shred through stronger foes. Players currently on the hunt for the Sleeper Simulant can exploit and reap the benefits of this week’s modifier, as the Sleeper Simulant quest requires the completion of 5 heroic level strikes.